A Day Late. A shell pea saga and metaphor for life. As they used to say in New England. "old peas are bad business". The harvest window for fresh shell peas is very short. Too soon and they're really tiny (but very sweet). Later, as the peas start to fill the pod, the pod is still shiny and green and the peas are tender and sugary. Too old and they get hard and starchy. There's a brief period (1-2 days) when they're perfect. Plump but not crowded and still round(ish) and tender and sweet and full of the flavor that is totally "Spring". But if you procrastinate even 1 day to pick them you can taste the difference. More than that and there's the internal debate as to whether you should pick them at all. It's a dilemma for the farmer as the yield when they're small is really, really low, but if you wait just a couple more days, they're big and fat and (when you sell by the pound) almost profitable (but much less tasty). But here they sell for 6-7€/kg (about $3.50/lb.) and if they're picked when they're small, you need a really long row have enough to harvest. Add to that the fact that peas needed to be sold the day they are picked or the sugars in the pea turn to starch--in the same way that the old-time corn varieties need to be cooked and eaten right away and it's the rare farmer than makes a profit selling shell peas. These are Progress No. 9 Dwarf Shell peas. Planted in early Spring (rather than the Fall as is the usual custom here) AND Picked a few days AFTER that fleeting, perfect moment. 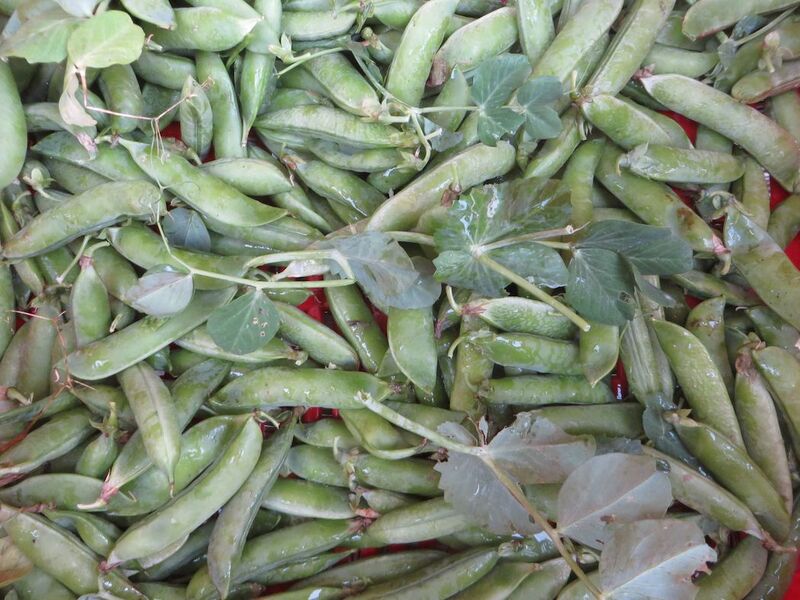 Many market growers now grow only Sugar Snap or similar Snap Peas. 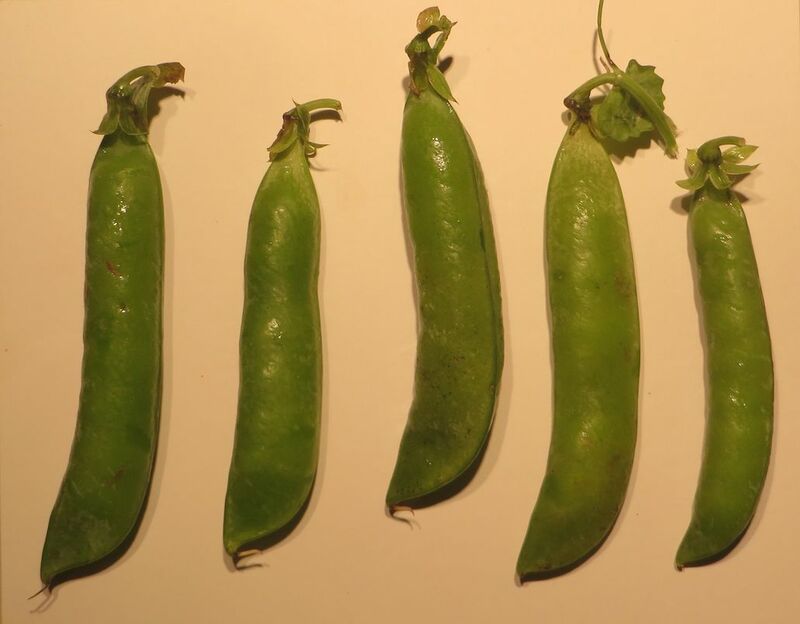 They stay sweet longer and as the whole pea is edible it's a much better deal for the farmer and the consumer. (easier to pick, much longer harvest window and better value to both). The really hard ones, already a pale yellow and corrugated I left in the field. Since I grew these we eat them. Cooked with some fresh garlic, some salt, and a pinch of sugar (to make up for what isn't in the peas any longer) they were still pretty decent. Or braised with the last baby artichokes, a little wild fennel frond, some lettuce leaves and a few stray asparagus spears and they still vanish from the table in a flash, even if they're not so pretty. P.S.S. 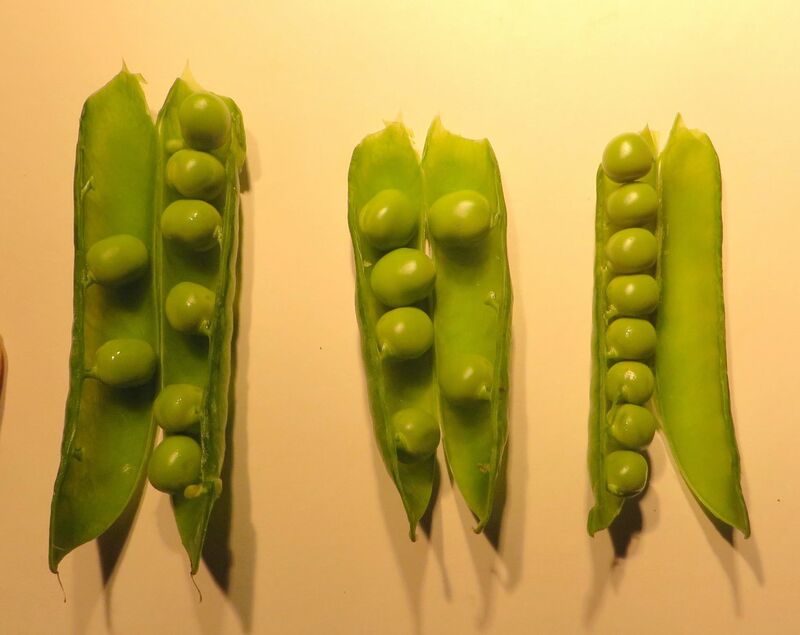 This is why frozen, baby peas are probably a good value. They're picked all at once by a combine and immediately blanched and frozen and at the scale they're grown commercially, much less costly to buy for a product that is usually of high quality (baby peas) and better than you can find in the market unless you have a farmer that's better organized and attentive than I am.